Who can look forward to the Champions League next season? With Manchester United’s firm grip on the Premier League title looking impossible to break, the race for Champions League qualification is arguably proving to be the more exciting conclusion to the 2012-13 season. Tottenham are flying high with Gareth Bale’s imperious displays and pundits are highlighting the realistic chance of Spurs finishing above Manchester City in the table. Their victory over Arsenal last weekend was a major blow for their north London rivals, whose manager seems to be under real threat from supporters. In West London, Chelsea are the club constantly in the spotlight and are surrounded by negativity following the signing of interim coach Rafa Benitez. Liverpool and Everton are not technically out of the race, but I think that the three London clubs are the most likely to take the remaining Champions League positions. Although, both of the clubs from Merseyside may play a crucial role in deciding which London clubs will finish in the coveted fourth spot. Arsenal’s north London rivals have been one of the most exciting Premier League sides to watch this season. André Villas Boas has moulded Harry Redknapp’s attacking Spur’s side into a more balanced squad. It is easy to forget that Tottenham lost several key players last summer; Luka Modric, Ledley King and Rafael van der Vaart all left White Hart Lane. However, Villas-Boas has added apt replacements with Moussa Dembélé (Fulham, £15m), Jan Vertonghen (Ajax, £9.5m) and Gylfi Sigurdsson (Hoffenheim, £8m) all adding quality to the squad. With these new additions, the familiar faces at Tottenham have also improved their own game. Aaron Lennon seems to be finding some consistency to back up his explosive pace . Their defence has been performing well, with the resurgent Michael Dawson providing the sturdy backbone that Spurs have needed in previous seasons. Then there’s Gareth Bale. With plaudits from across Europe comparing him with Cristiano Ronaldo and Lionel Messi, he has become Tottenham’s talisman. Last year, Van Persie was the obvious difference between Arsenal and the other Champions League chasing teams. This season, Bale has lead Tottenham’s charge with ease and his form is still improving. 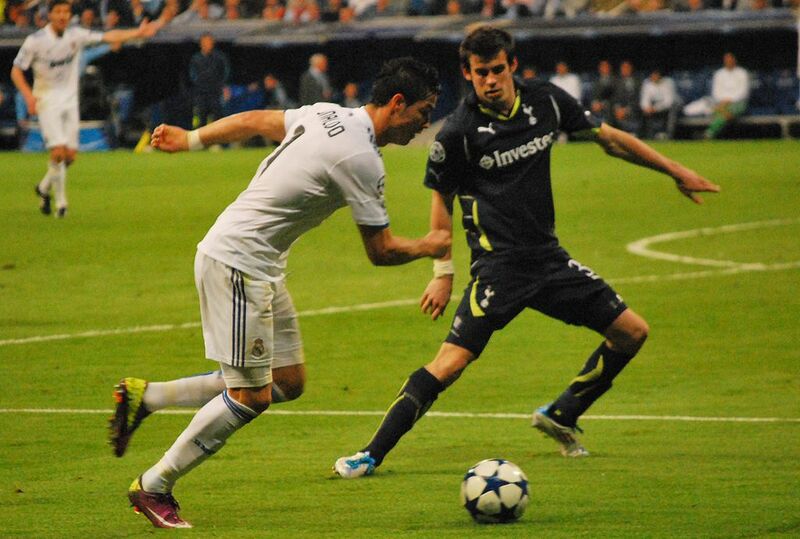 Gareth Bale playing against Cristiano Ronaldo, who Bale has been increasingly compared to. With all of the furore surrounding the appointment of Rafa Benitez, the ability of the Chelsea team, at times, gets less media attention. The Champions League winners of last season have once again been inconsistent in the Premier League. Their squad had an injection of promising youth in the summer with Eden Hazard (Lille, £32m), Oscar (Internacional, £25m), and Victor Moses (Wigan, £9m). They have all shown elements of great skill, especially Oscar in the Champions League. However, the squad rotation of Benitez has only highlighted that the new recruits are not yet ready to replace Chelsea stalwarts like Frank Lampard, who looks to be leaving at the end of the season. Fernando Torres has not scored the goals that Didier Drogba’s departure took with him and Demba Ba’s introduction has yet to be proven successful. The Emirates Stadium crowd are looking increasingly frustrated. This season’s squad is still full of talented individuals but the flair of previous seasons has arguably been lost. Although, the addition of Santi Cazorla (Real Mallorca, £16.5m) has been another key addition by Arséne Wenger, and Jack Wilshere and Theo Walcott are both having their best seasons in an Arsenal shirt. Yet, the defence of the Gunners has plagued them once more. Thomas Vermaelen has not replicated his previous good form since taking over as captain and the likes of Per Mertesacker and Carl Jenkinson have struggled in Arsenal’s defence. Olivier Giroud (Montpellier, £12m), has not been able to replace the goals that Robin Van Persie took to Manchester, but could help the Gunners if he hits a rich vein of form in the coming months. It has been a great reversal of fortune for André Villas-Boas who was in a crisis of management at Chelsea. To take over at White Hart Lane after Harry Redknapp’s reign in north London was no easier task than his role at Chelsea. However, his methodical approach to the game has been accepted by the squad and the free role to which he has been playing Gareth Bale recently should not go unnoticed. His attempt to remove Dawson at from the Tottenham defence at the start of the season was seen as another provocative gesture, but the in retrospect, Dawson and the rest of his teammates respect the Portuguese manager and their recent performances show that they have faith in his decision-making. At Chelsea, the story is familiar. Since José Mourinho’s departure, each Chelsea manager has had to withstand the constant pressure to perform, with a dressing room that seems to hold the ultimate power at the club, with the exception of the owner. Rafa Benitez’s tenure has been no different, except that the fans are clearly not onside and this has not helped to improve results. The Chelsea players appear to be following the lead of Benitez, with more cautious performances helping their defence of late. Yet, the quality of the team at Stamford Bridge is yet to shine through and it would not be a shock if the Spaniard does not remain at the club until May. 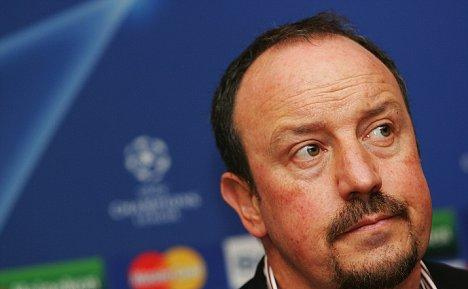 Rafa Benitez is under great pressure at Chelsea. For Arséne Wenger, the ever-increasing divide in opinion has reached boiling point this season. He is unquestionably under great pressure, as a top four finish is seriously under threat. However, Wenger’s experience should not be undermined. Wenger has eluded to his team’s lack of consistency this season but has always assured his players that they have the quality to win. This stubbornly positive attitude about the talent of his squad may be a vital factor when the pressure builds in the finals games of the season. If fans stand behind the team, Wenger should be able to install the confidence needed for his players to win. Arsenal: Swansea (A), Reading (H), West Brom (A), Norwich (H), Everton (H), Fulham (A), Man Utd (H), QPR (A), Wigan (H), Newcastle (A). Tottenham: Liverpool (A), Fulham (H), Swansea (A), Everton (H), Chelsea (A), Man City (H), Wigan (A), Southampton (H), Stoke (A), Sunderland (H). Chelsea: West Ham (H), Southampton (A), Sunderland (H), Tottenham (H), Liverpool (A), Swansea (H), Man Utd (A), Aston Villa (A), Everton (H). The matches highlighted in bold are all matches between the top six. Liverpool and Everton could have an important say in who takes fourth position as they both play Chelsea and Tottenham. The game between Chelsea and Tottenham in April will help Arsenal’s chances. It appears that the Gunners have the best fixture list but games at QPR and Wigan may prove difficult if they are still fighting to stay in the Premier League. Whatever happens on the pitch between now and May, we can be sure that the race for a top four finish will be extremely close. Tottenham, with the power of Bale, look set to qualify in their current form. However, if these winning displays do not continue, the clash between themselves and Chelsea in April should become increasingly important in determining Tottenham’s finish to the season. For me, Chelsea are the team who should be wary. Their performance this season in the Premier League has slowly declined, in the same manner as last season. This year, with no Champions League to aim for and increasing negativity surrounding their manager, Chelsea may find that their aim to qualify may not be fulfilled. Arsenal will struggle to qualify, but Wenger’s side has experience of the last minute struggle for qualification and this will help them. The Gunners arguably have the easiest remaining fixtures and (assuming that they lose to Bayern Munich) no cup competitions to play in. This is why I would slightly favour them above Chelsea. If their defence can prevent costly errors in the final part of the season, they may surprise their critics and take fourth spot in May.